Earth's magnetic field is what allows us to exist. It deflects harmful radiation. It keeps our water and atmosphere in the place. But now it's acting up — and nobody knows why. 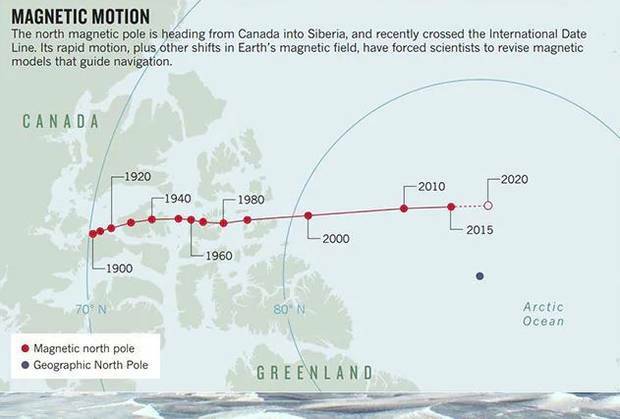 The Earth’s north magnetic pole is shifting so rapidly that steps are being taken to ensure it doesn't impact navigation in the Arctic. 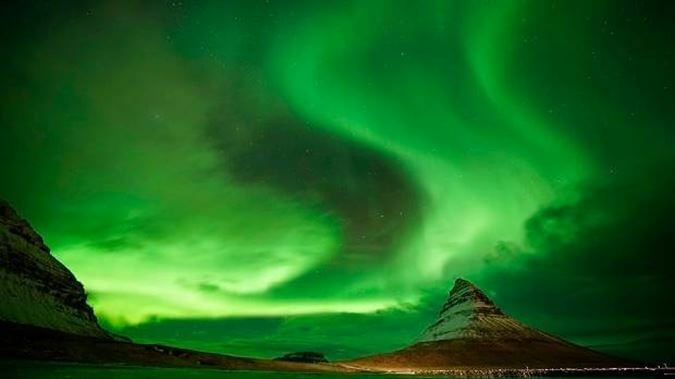 The World Magnetic Model predicts the Earth's geomagnetic field for the next five years, and it is normally produced every five years. Scientists have now recognized that the 2015 World Magnetic Model needs updating earlier than planned, but the update has been postponed from January 15 to January 30 due to the ongoing U.S. government shutdown. The Model is produced by the British Geological Survey and NOAA, on behalf of the U.K. Defence Geographic Centre and the U.S. National Geospatial-Intelligence Agency. It is a model of the primary component of the geomagnetic field: the Earth’s core. The core field is generated by dynamic action in the swirling iron-rich fluid of the outer core, roughly 3,500 kilometers below the Earth's surface. The ever-changing flow of the outer core leads to an ever-changing magnetic field.